While the influx of refugees still causes housing and integration challenges throughout Europe, Frederiksberg Municipality in Denmark is tackling the problem head on by housing refugees in readymade homes in an old cemetery. 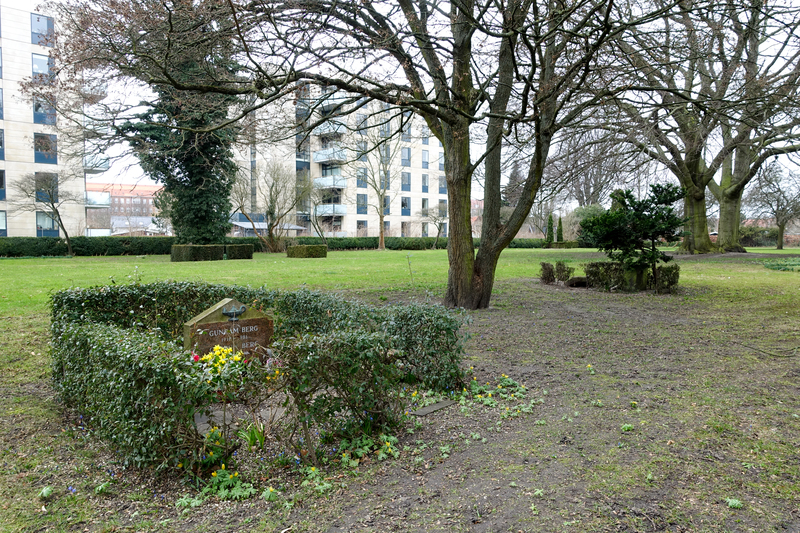 In the future multiple refugees and students in Frederiksberg Municipality will be housed in the old cemetery Solbjerg Park Cemetery. Several readymade homes will be constructed in the outskirts of the cemetery and will house approximately 54 refugees and students. Photo by Mary Lee. 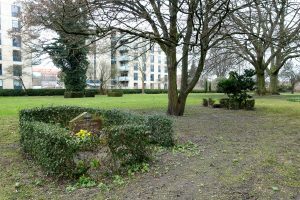 As a part of a new integration strategy, Frederiksberg Municipality has decided to construct affordable housing in the old cemetery Solbjerg Park Cemetery. The readymade homes are to house both refugees and students to make the integration more efficient. “As you can see, there are other homes on the outskirts of the cemetery, which of course is not a cemetery but a park cemetery. In addition, the cemetery is being phased out, so the graves are slowly beginning to be closed,” states the Chairman of the Frederiksberg City Counsil, Simon Aggesen. “We see it as a solution to how we lift the challenge of integration in Frederiksberg Municipality. Here we can create cheap housing for students and refugees,” Chairman of the Frederiksberg City Counsil, Simon Aggesen. “It’s not only a temporary home, but a place to settle in Denmark,” says Simon Aggesen. “A challenge is also that in Frederiksberg Municipality, it is limited how much space and how much land we have available to build housing for refugees. But we are obviously aware of the fact that the housing is being constructed in a cemetery,” Says Simon Aggesen. And clearly states that the graves will not be violated and the future plan is to phase out the cemetery and turn it into a park. “The idea is that the cemetery during the 2020 moves to a park,” says Simon. The building project in being done by Frederiksberg Municipality in cooperation with VenligBolig, a social housing company, and Frederiksberg Forenede Boligselskaber, a non-profit housing organization. VenligBolig launched an innovative idea to build readymade homes in people’s backyards as a temporary form of housing. This idea is now being taken further to the project call VenligBoligPlus, where VenligBolig plans to construct an entire permanent readymade apartment complex. Frederiksberg Forenede Boligselskaber has several housing opportunities for students but at a higher cost than the new housing. The students that are going to move into the new houses are students that are currently living in other of Frederiksberg Forenede Boligselskaber housing. The apartments they move away from is going to be offered to future refugees in the municipality. When the refugee crisis in Europe peaked in 2014, a lot of the European countries were severely overwhelmed and a lot of the states are still struggling to handle the amount of people fleeing to the continent. In 2014-2016, Frederiksberg Municipality received just over 300 refugees and it is expected that additional 200 refugees are going to arrive in 2017. At the moment, 180 refugees are currently living in temporary housing. Slide your mouse over to see how many refugees migrate to Frederiksberg Municipality. For now, the housing is still in blueprint, but 51 new houses are expected to be constructed during the next two years.